The trends in pool design often tend to follow what’s popular at vacation resorts. Homeowners go on a trip, experience a spectacular pool, and then want to add something similar to their Northern Virginia backyard in order to create a “staycation” destination. After all, why have to travel anywhere when you can have a luxurious pool in your own backyard? Of course, nothing quite says “backyard luxury,” like an infinity edge pool. These pools can make a truly spectacular addition to a home that is looking to take their backyard space to a whole new level. What Exactly is an Infinity Edge Pool? First, we want to be clear that there are multiple terms, often used interchangeably, for an infinity pool. 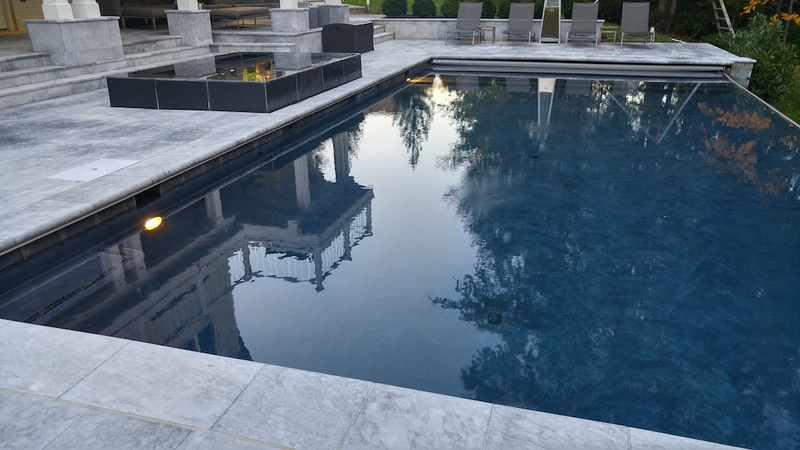 This special pool feature is also referred to as a “vanishing edge” or a “negative edge.” All of these terms refer to the same thing but for the purposes of this article, we will refer to it as an infinity edge. For those that don’t know, an infinity pool is a swimming pool where the water flows over one or more edge producing a visual effect of water with no boundary. They’re often seen at high-end resorts. If you’ve seen one, you might have wondered how does an infinity pool work? The walls of an infinity edge pool slope downward away from the pool to create the illusion of dropping off and to form a waterfall. The water falls into a catch pool below, which is a basin that sits beneath the edge. This water is pumped back into the main pool. If it’s something that you might be pondering, there are some important points to consider. Here are 4 things that we think you ought to know about these infinity pools. It probably goes without saying that a highly unique pool like this is going to be more complicated. From the design all the way through its construction, an infinity pool is definitely a lot more involved than a standard pool. For one, additional engineering is going to be required in order to support the structure being built at the pool’s edge. Once the construction phase begins, that’s more involved as well. It’s basically like building two separate pools and it’s going to require extra time. What Does an Infinity Pool Cost? In recognizing that an infinity pool is more involved, you might also be wondering what it costs. The extra time (and materials) needed to construct an infinity pool will naturally make it cost more than a standard pool. Generally speaking, an infinity edge can add around 20 to 50 percent of the total cost of the pool to the complete project. An infinity edge pool is not the right pick for every single property. If you have a really flat backyard with no elevation change, an infinity edge pool is not going to work in your yard. We need at least a couple of feet in elevation change to make an infinity edge work. While a sloping yard should work well for an infinity pool, a property with a very steep slope is going to increase the price rather dramatically. If there is serious engineering required to support the pool along the slope, it’s going to be a significant cost investment—potentially doubling the cost of the pool. However, homeowners who live on a hillside or a mountain and have a spectacular overlook area (perhaps of a lake or a river below) have said that it’s worth that investment. For them, it’s a priceless view. There’s no question that the number one reason homeowners consider an infinity pool design is the “looks.” It’s such an attractive addition to the property that it really takes a backyard oasis to the next level. However, an infinity pool also has the added benefit of incorporating the tranquil sound of running water onto a property, something that a lot of homeowners really appreciate. Some homeowners even go as far as creating a patio area beneath the edge of the pool, maybe with a fire pit and a lounging spot where they can watch the fire and listen to the water. It really adds to the overall “staycation” feel. Instead of doing the entire edge of the pool as an infinity edge, the option exists to just create one on a corner. This would still give you a unique aesthetic addition and the sound of running water, but you would keep some of the cost down. It’s a consideration for the homeowner who wants to make their pool original and add an aesthetic feature on a tighter budget. However, one consideration is the fact that while we can still install an automatic cover on a pool that has a full infinity edge, we cannot install an automatic cover on a partial infinity edge. Given the complicated nature of an infinity edge pool, it’s important to choose the right custom pool builder for your project. It’s the type of project that could go disastrously wrong if designed or installed improperly. 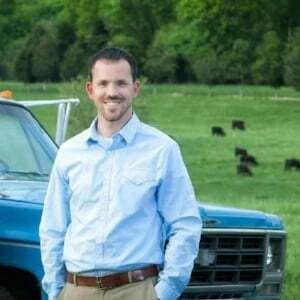 While you can search online for custom pool builders near me, you also want to be sure that you’ve thoroughly interviewed pool companies and chosen one that is equipped to handle the scope of this work. 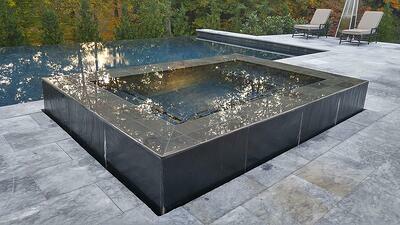 Make sure to ask whether the company has already installed infinity edge pools before. It’s so important that you have to have a good engineer who knows what they’re doing from a structural standpoint for the design, as well as a competent pool company who will properly install it. 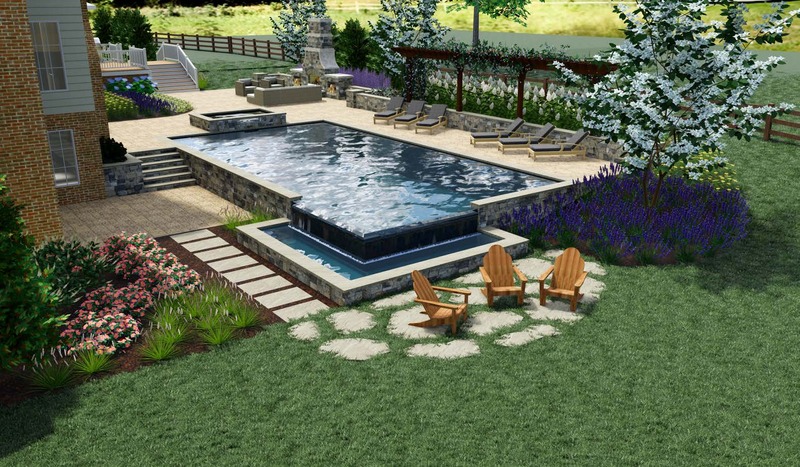 At Rock Water Farm, we have experience and knowledge designing and installing infinity edge pools as well as complete pool spaces. We’re in the business of creating backyard paradises for our customers that include not only a pool but also all of the important features that should go along with it. After all, a space isn’t fully usable (and enjoyable) without these additions. These include (but are not limited to) patio space, outdoor kitchens, pavilions, pool houses, fire features, and more. If you’re looking to have an infinity edge pool installed as part of your complete outdoor living space, then we are here to help. We want to help bring your “staycation” dreams to life so that you don’t have to travel beyond your backyard to feel like you’re living in luxury. 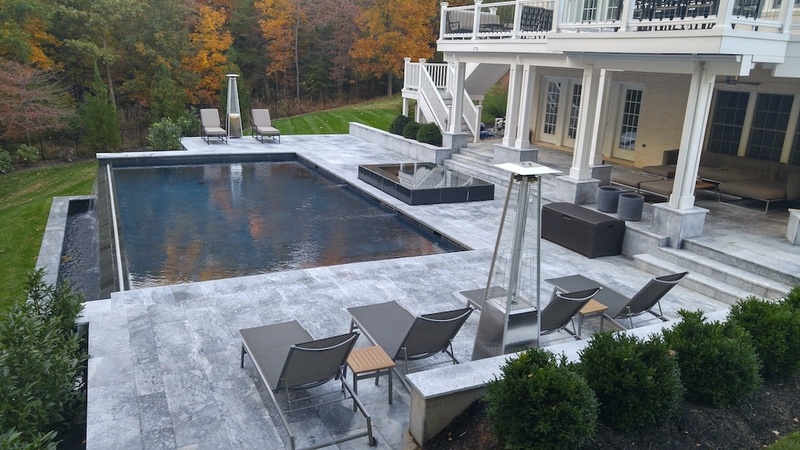 If you’d like to discuss designing and adding an infinity edge pool to your Ashburn, Aldie, or Leesburg, VA backyard, talk to an expert, choose a solution that rocks, and then get ready to see your dream come to life.